E-democracy, defined in this chapter as “the use of information and communication technologies in democratic processes,” covers a range of methods by which governments and communities engage with each other. This includes a variety of activities that support public participation in democratic processes, such as electronic voting, online consultation, Web-based discussion forums, electronic petitions to Parliament, using the Internet to Webcast parliamentary debates, and digital polling and surveys. 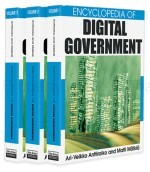 E-democracy is a fairly recent and evolving field, with rapid developments at both practical and conceptual levels. Innovative projects and initiatives are being introduced in many different countries, but this process is rarely guided by a comprehensive policy framework or informed by systematic evaluation. In 2001, an OECD review concluded that “no OECD country currently conducts systematic evaluation of government performance in providing information, consulting and engaging citizens online” (OECD, 2001 p. 4). Writers in the field have noted that the evaluation of e-democracy initiatives has not developed as quickly as public debate about the potential impacts, that evaluations are rare to date, and that there is no consensus on appropriate evaluation methodologies (Grönlund, n.d.). Examples of publicly available evaluations include the Scottish e-petitioner system (e.g., Malina & Macintosh, n.d.; Malina, Macintosh, & Davenport, 2001) and online consultation (e.g., Smith & Macintosh, 2001; Whyte & Macintosh 2000, 2001). Macintosh and Whyte (2002) have produced “a tentative interdisciplinary framework of evaluation issues and criteria” for electronic consultation. An OECD report (2003) lists evaluation issues for online engagement. However, overall there are few resources to guide evaluation in the e-democracy area to date.